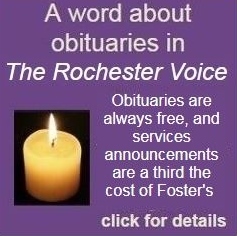 ROCHESTER - Brian George Woodman, 32, of Rochester died unexpectedly on Saturday, March 24, 2018. Born on September 29, 1985, in Plattsburgh, N.Y., Brian moved to N.H. at a young age. It's been said that Brian lived more in his 32 years than most people do in a lifetime. His larger than life personality attracted people to him and left a lasting impression. He will never be forgotten for his beautiful smile, or his crazy sense of humor, and many were lucky enough to be embraced by one of his giant bear hugs. Brian's job took him all over the country, including Puerto Rico where he met the love of his life, Jenisse. Brian's true joy came from the couple's son, Brice, who he was tremendously proud of and loved deeply. Family was important to Brian, and although he struggled, he wanted nothing more than to make his family proud. 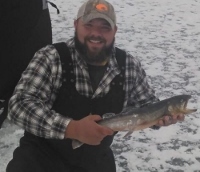 Brian's father instilled a love of the outdoors in both his brother, Scott, and himself. Many times were spent camping, hunting and fishing. Brian continued that love as an adult and was especially happy when it involved spending time with his father in Alaska. And you were born for leavin'"
Zac Brown Band- "Colder Weather"
Brian is survived by his son Brice Eli Woodman of Ponce, Puerto Rico; girlfriend Jenisse Martinez Vega of Ponce, Puerto Rico; father Bruce Woodman of Anchorage, Alaska, and his longtime companion Lisa Dale of Farmington; mother Melodi (Williams) Osborne of Kentucky; sister Jennifer Lassonde along with her husband Christopher, and their sons Rhys and Ty of Dallas, Texas; brother Scott Woodman of Rochester; stepsister Nicole Dale, along with her daughter Kamdyn of Farmington; stepbrother Sean Dale of Farmington; grandmother Ilse McKenney of Strafford; along with several aunts, uncles, and cousins. He is predeceased by his grandfather Melvin G. Woodman of Farmington; and grandmother Ann C. Cooper of Somerset, Ken.